EWG scientists reviewed Dial Complete Foaming Antibacterial Hand Wash for safety according to the methodology outlined in our Skin Deep Cosmetics Database. We assess the ingredients listed on the labels of personal care products based on data in toxicity and regulatory databases, government and health agency assessments and the open scientific literature. 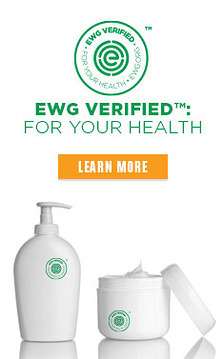 EWG's rating for Dial Complete Foaming Antibacterial Hand Wash is 6. Active Ingredients: Triclosan (0.46%). Inactive Ingredients: Water, Sodium Xylenesulfonate, Dipropylene Glycol, Glycerin, Sodium PCA, Ammonium Lauryl Sulfate, Cocamidopropyl Betaine, Polyquaternium-10, Cocos Nucifera (Coconut) Fruit Extract, Bambusa Vulgaris Leaf Extract, Fragrance, Disodium Phosphate, Cetyl Alcohol, Propylene Glycol, Aloe Barbadensis Leaf Juice, Citric Acid, Methylparaben, Propylparaben, Blue 1, Violet 2. Warnings: For external use only, Other warnings: If swallowed, get medical help or contact a Poison Control Center right away. When using this product: avoid contact with eyes. In case of eye contact, flush with water. Stop use and ask a doctor if: irritation or redness develops. Keep out of reach of children.